When you work this hard on your body, you want to show it off. 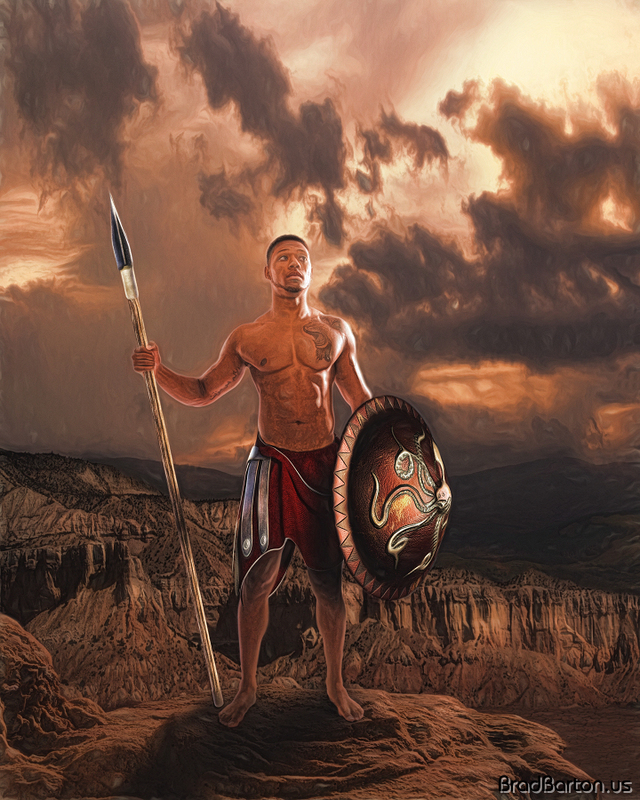 Jordan had a Spartan motif in mind, so in addition to some standard images to show off his physique from bodybuilding, we also created some great fantasy work for him – taking his Spartan and putting him on top of a mountain. Wardrobe wasn’t a problem – props and wardrobe were added in post processing – so no worries for him to bring along. What is your fantasy? What is your Epic?